AshleyNewell.me: Creative Inspirations Paints Go 3D! Creative Inspirations Paints Go 3D! I hope this counts as a 3D project since that was the challenge for the Creative Inspirations Paint team this week. Actually, the challenge did say you could make a gift item and that's what I opted to do. 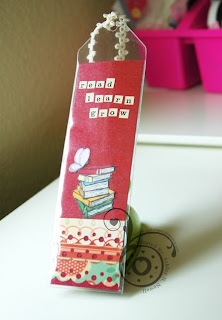 I've been wanting to make a bookmark for a while now, ever since I got the bookmark holder in my Caffinated Cropper kit. I started this project by cutting down a piece of chipboard. Then I painted it with Creative Inspirations Paint in Garnet. I cut small strips of MME paper and scalloped punched them. I layered the paper at the bottom. I stamped the image from Ippity's Books A Flutter stamp on white card stock, colored the books with markers and then painted the butterfly with Creative Inspirations Paint in Tutu Pink. I added the sentiment with some Cosmo Cricket stickers and added some natural ribbon from Joann Fabrics. It was a pretty simple project once I got it all figured out in my head, which took MUCH longer. 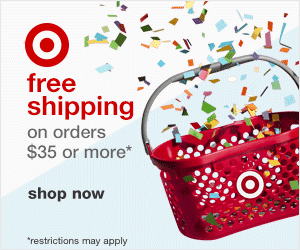 But I think this would make a nice gift with either a book or a gift card to a book store. 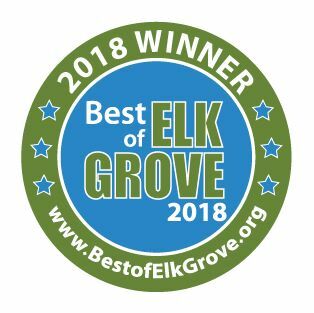 I love love love reading and many of my friends do too! Be sure to check out the Creative Inspirations Paint blog to see what the DT has made for you today! This bookmark is so cute. 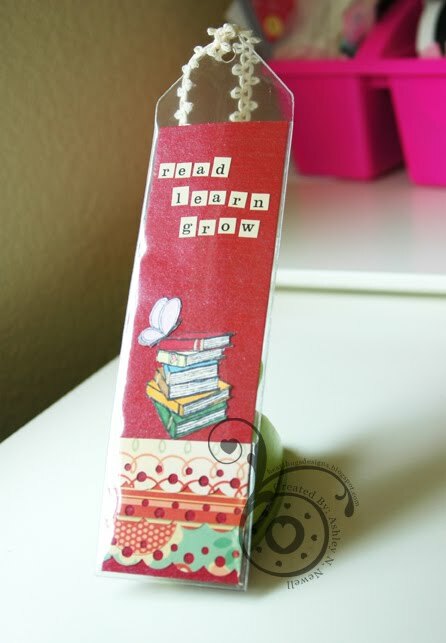 Cute bookmark, great idea to paint the chipboard with the CI Paints! lovely bookmark, the garnet is such a nice color. I love this project- something I could make for my College aged kids- and of course, they love sparkle! Love the idea of using chipboard too. Ohhh, I love the garnet color! What a great idea! It turned out awesome! 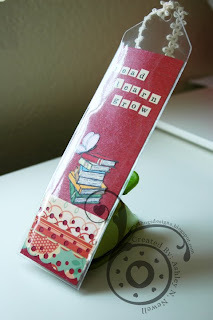 Great idea, we all need bookmarks! Great job on the bookmark! Very pretty! What a good gift idea. I love reading and always fold the corner of the page. I might just have to make one of these.